An international leader who speaks the truth at age 13. 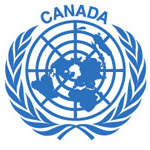 It is with great pleasure that the United Nations Association of Canada presents Ta’Kaiya Blaney as the 2014 winner of the John Gibbard Memorial Award. 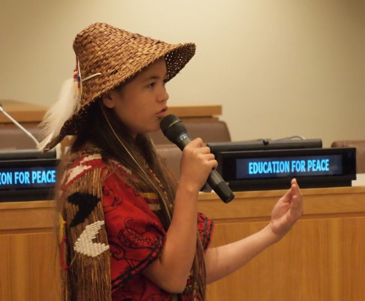 Ta’Kaiya is a Sliammon First Nations youth who is devoted to raising awareness about environmental issues and indigenous rights. At 13 years old, Ta’Kaiya is already a veteran of international affairs. She is the youngest indigenous person to give an intervention at the United Nations in New York City. She has spoken at the UN Permanent Forum for Indigenous Peoples and she was a speaker, singer and panelist at several UN Earth Summit Rio +20 events. She proposed the idea of an Indigenous Children’s Fund at the United Nations and has spoken out against the Enbridge Northern Gateway pipeline, taking her concerns directly to the C.E.O.